You might say your dad, or your mom, or that one uncle that makes Thanksgiving dinner so much better. You might say a courageous friend, a political figure, or a world-changing celebrity. You might even have more than one—that’s okay, too. Heroes are everywhere, but not always easy to track down. I found one of mine—in real life—just this week! I traveled about ninety miles on Monday to hear my ministry hero speak in Toledo, Ohio. 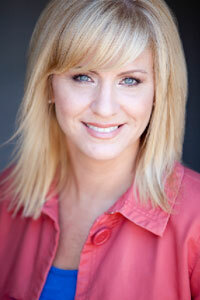 Dannah Gresh has authored several books and is the founder of Pure Freedom. She ministers to girls and women on the topics of modesty, sexual purity, and falling in love with God. Dannah is a gifted speaker as well as a talented writer, and I’ve grown much under her ministry through her events and books (my copies are highlighted, underlined, and written in everywhere). Thanks to some great friends at Regular Baptist Press, I was able to talk with Dannah for a few minutes yesterday after hearing her speak live to about 250 women. I can’t share the interview just yet, but here’s a glimpse of what she talked about yesterday: Finding True Love. I claim Dannah as one of my heroes because our hearts both beat for the same things: for women of all ages to find full satisfaction, healing, and joy in God. (And she’s a writer and speaker…SO cool.) What a privilege it was to share in the ministry of this sweet woman. So here’s to finding your hero—I hope someday you get to meet him or her. It was definitely approaching the dream-come-true status for me!